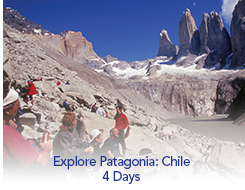 You'll see Chile from the peaks of the Andes to the rugged, open spaces of Patagonia. Breakfast daily, 2 lunches and three dinners. Open Bar (includes mineral water, sodas, juices, house wines & liquors). Premium wines and liquors available for an additional cost. 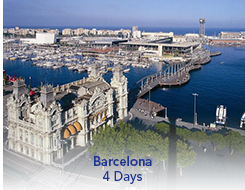 Two half day excursions or one full day excursion with other guests. Use of Uma Spa, including pool, saunas and Jacuzzi (massages, spa treatments and therapies for an additional cost).